All the fast-paced puck smashing fun of the full-sized arcade favorite, now in a compact and portable package. A battery-powered fan provides the air-moving action while you and an opponent battle it out in hockey style. 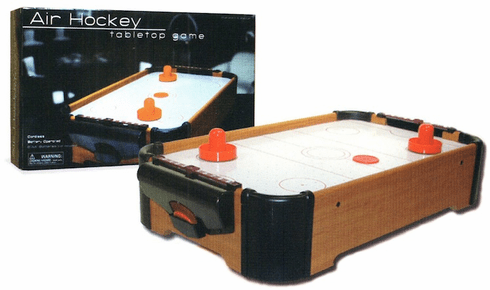 Puck returns and individual scoreboards on each side of the table for the ultimate gameplay experience.